Description: Improve sound and performance on your 2018+ Mustang GT with this Redline catback from Stainless Works. We’ve engineered a drone free aggressive muffler tuned specifically for this improved coyote engine from Ford. Featuring the latest in active exhaust technology, our in-house engineered valve bolts directly to the factory electronics to allow for all exhaust modes. From the closed valve “Quiet” mode, to the chambered “Normal” mode and to the wide open straight through design on the “Track” mode. 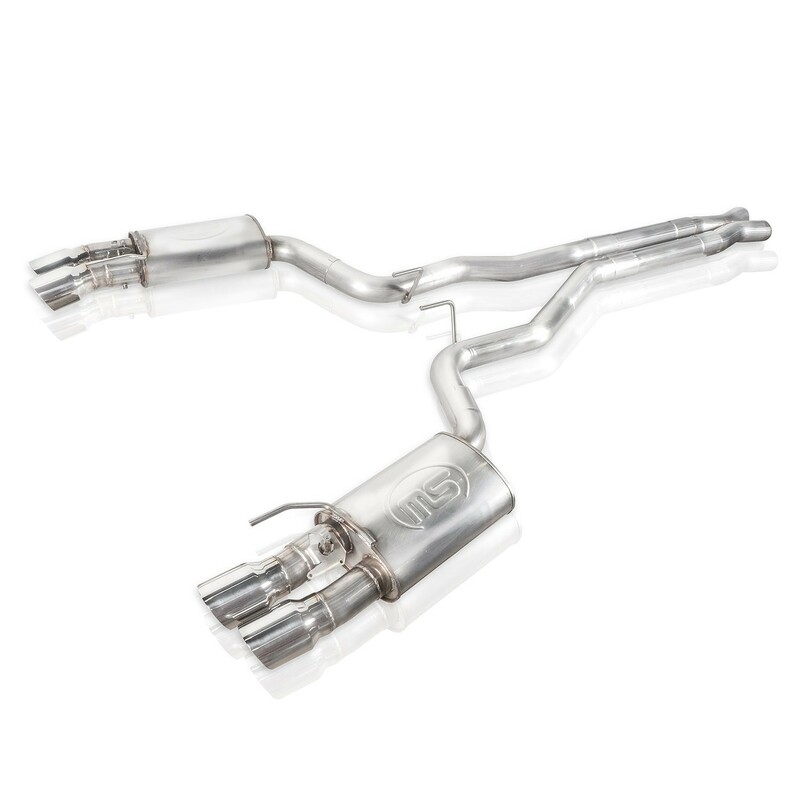 In addition to the tuned mufflers, we’ve also utilized 3” tubing into our x-pipe crossover for an improvement in flow over the stock exhaust. Finishing the system off we utilized polished quad tips with a double wall conical style. This system is built from corrosion resistant 304 stainless steel and TIG welded at our state of the art facility in Streetsboro, Ohio. As always we stand by our products with a lifetime warranty on material and craftsmanship. 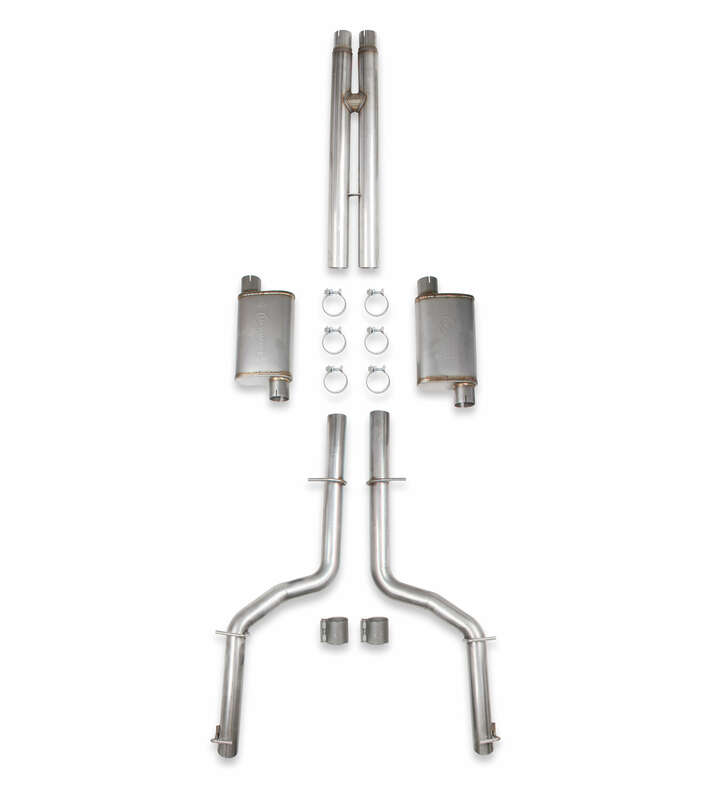 This system is designed for vehicles with the Active Valve Performance Exhaust. Not confirmed to fit convertibles.